Communication, Connection, Community: Why a woman’s place is politics | The Forum Network, hosted by the OECD: Shape ideas. Shape policy. Shape the Future. With gender imbalances across politics, business and academia, at the current rate of progress we are almost a century away from global gender parity. Silvana Koch-Mehrin, President and Founder of the Women Political Leaders Global Forum, discusses why we need female political leaders and what we can do to get them. Ninety-nine years ago, World War I ended and the League of Nations founded; the first Oreo cookie was baked and the pop-up toaster patented. It is the stuff of history books. According to the latest World Economic Forum Global Gender Gap Report, it will take another 99 years for the world to consign inequality in political representation to history - if the past trajectory, measured since 2006, remains at its current speed, that is. But the last three years have seen a significant roll-back: the number of years to the time that women and men have the same rights and opportunities is increasing, not decreasing. Having just one woman for every four men in parliaments is a clear sign of how bad societies are at tapping into the potential talent of more than 50% of the population. 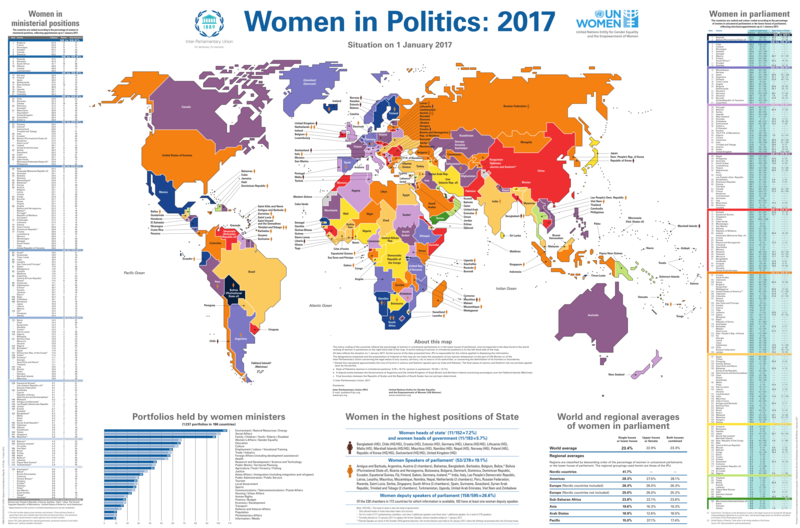 There are, of course, important variations: Nordic countries are the most gender equal, and the world champion for female participation in politics is Rwanda. At the other end of the scale are Arab and Gulf countries. As in business and academia the greater the seniority, the lower the number of women. UN Women says that men make up 77% of parliamentarians, 82% of government ministers, 93% of heads of government and 94% of heads of state. Every time a woman makes it to the top, it makes global headlines. One can name every current female country leader in less than 30 seconds. There is good reason to care about this imbalance. Gender equality in political participation has both intrinsic and instrumental value. Women in political office make it a priority to advance rights, promoting equality and opportunity for women and girls in a way and to a degree that men in power overwhelmingly do not. It is a matter of human rights. It is a matter of good governance. The gender composition of executives and legislatures affects the quality of laws and influences the extent of their application. Women leaders are also more likely to be responsive to public needs and tend to co-operate across party lines. A range of barriers – official and unofficial, formal and informal – limit women’s political participation. 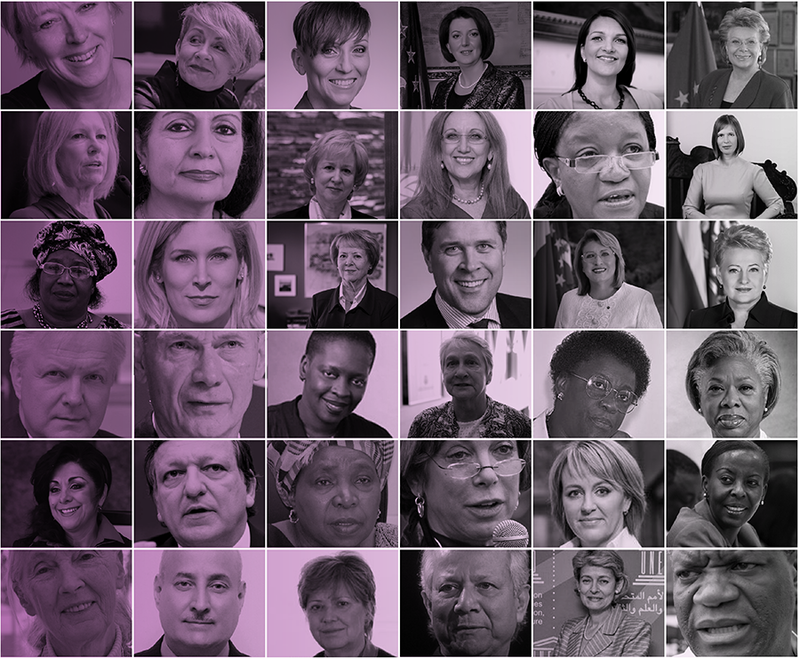 The Women Political Leaders Global Forum conducted a study on The Female Political Career. It analyses survey responses from 617 politicians, female and male, from 84 countries. It is designed to understand the non-legal barriers that women face in different phases of the political lifecycle. The findings tell the same old story – one that applies globally. Women politicians tend to start their careers later, have fewer children, spend more time caring for their families and arrange their lives to have shorter commuting times than their male counterparts. Family commitments still constitute a major source of concern for women. “Gender equality begins in our homes,” says Nkosazana Dlamini-Zuma, Chair of the African Union(2010-2016) and a member of the WPL advisory board. Another respondent said, “three Ms stand in the way of women: money, media and men”. Women and men consistently benefit from different levels and types of political support. On average female politicians receive fewer private donations than their male counterparts. They rely more heavily on party sponsorship and support. Media portrayal and voter perceptions of “a woman’s place” cast a longer shadow over female politicians’ decisions about whether to run for office and their decisions to pursue higher office. While both men and women express concern about the many pitfalls of political campaigning, females are more worried overall, specifically about stereotypical discrimination, the difficulty of fundraising, negative advertising, the loss of privacy and not being taken seriously. This can only change when there are more women in politics, and when it is not the exception to the rule. So what can be done to address these problems? In politics, networks are key. To accelerate their political careers women need communication, connection and community. WPL aims to increase both the number and the influence of women in political leadership positions, optimising the power of communication and connection to build new communities of knowledge for women political leaders everywhere. Progress is achieved by convening women political leaders who have the drive and the influence to create positive change. And not just women. In a flagship campaign, WPL asked male presidents and prime ministers to complete the sentence “We need more women as political leaders because ...”. Among the more than 70 respondents is Canada’s Prime Minister, Justin Trudeau: “When women engage in the political process, societies thrive and prosper”. As Michelle Bachelet, former President of Chile, rightly puts it: “When one woman is a leader, it changes her. When more women are leaders, it changes politics and policies”. Silvana is the President and Founder of the Women Political Leaders (WPL), the worldwide network of female Politicians. WPL is an independent, non-partisan and not-for-profit foundation. Its mission is increase the number and influence of women in political leadership. Silvana is a former Vice-President of the European Parliament (2009-2011) and a former MEP (2004-2014). She served in the committees on budget, on trade and on gender equality. Before her time in politics she founded and ran a public affairs consultancy in Brussels, which later merged with a larger US firm. In addition to her work for WPL, Silvana acts as Senior Advisor to EY Ernst & Young, Senior Policy Advisor to gplus europe, and provides guidance on EU regulatory issues to a range of companies and governments. She is a regular speaker at institutions such as the UN, OECD, World Bank and other international fora. With her three kids and their Irish father she lives in Brussels, Belgium.